The Inman Aligner is a revolutionary appliance, described as the "missing-link" between cosmetic dentistry and orthodontics, that can move teeth in the anterior region predictably, safely and quickly. Can be used to quickly align teeth either as a standalone treatment or before aesthetic or restorative treatement. Complete most cases in 6-18 weeks. Our courses have been designed to teach attendees how to use the Inman Aligner and are required to be a certified user. All aspects of the treatment are covered from case evaluation to fitting and then retention, so that attendees will be able to handle simple to moderate cases immediately. These forces allow for predictable rotation, protrusion and retroclination movements. Most cases are completed within 6 - 18 weeks depending on the complexity of the case. As an Inman Aligner Certified dentist you will understand how to provide a realistic guide of what to expect for each case. Impressions are needed so that the lab can fabricate the custom made Inman Aligner. 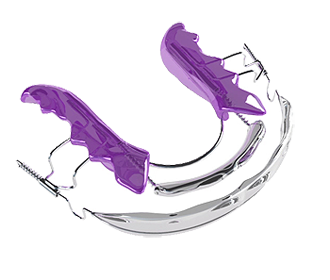 The Inman Aligner is made on highly accurate 3D printed models. The models are digitally corrected into the ideal set-up based on aesthetics and occlusion. The patient is fitted with the Aligner. You will receive a detailed chart of where any IPR is required and where any buttons need to be placed. Full online and phone support is free if you have any questions before or during the case. The patient wears the Aligner 16-20 hours a day. Regular checks with the patient every 2 - 3 weeks during treatment. To carry out any additional IPR or reposition buttons if required. As with other orthodontic treatment, after treatment is completed with the Inman Aligner, retention is recommended for life to prevent relapse. 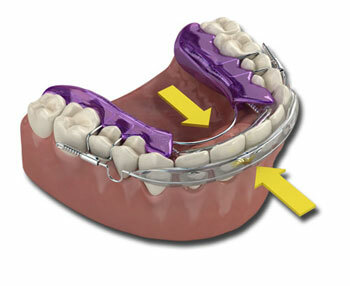 Retention can come in the form of a bonded retainer or an Essix retainer. "Good mixture of theory and case presentation as well as a good use of video animation. The course was very useful, really enjoyed the course and looking forward to starting cases"
"Every dentist should take this course. You'll be glad you did"
"This was the best single day course I have ever taken"
"This had to be one of the best courses I have ever attended. Absolutely world class!" "The Inman Aligner. One of the best things I have done for my cosmetic practice"
"Very comprehensive course and I am very confident about starting new cases"
"Every few years I attend a course which changes the way I look at cosmetic dentistry, the benefits to patients and my practice this was one of those course thank you." Find your nearest, upcoming Intelligent Alignment Systems courses. Inman Aligner Training is registered as a limited company in England and Wales.